A privatisation plan, the recent revision of which was induced by the budget deficit, schedules the sale of state assets through 2010. Before the end of this year, 15 companies are to go private, amongst them copper company KGHM, power companies PGE, Tauron and Lotos fuel group and the Warsaw Stock Exchange (WSE). The Polish government plans to sell a stake of between 51 percent and 73.8 percent in the first stage of the WSE privatisation and another 25 percent in two to three years. 23 percent of the shares can be purchased by institutions – the members of the stock exchange. If they choose not to do so, the main owner will have the right to take over the shares. Privatisation is a long-awaited process in the history of the WSE, as originally it was to be carried out two years after its opening in 1991. “The ownership structure has certainly been a ballast for us,” says Ludwik Sobolewski, the WSE’s current president. At the very beginning, the stock traded five companies once a week in the old headquarters of the Communist Party Central Committee. Now the exchange has over 300 listings and the second-largest number of IPOs in Europe (according to the PricewaterhouseCoopers methodology). The position on the European primary market remains high; only in the first three quarters of 2009, the WSE noted 22 débuts. In terms of the number and value of debuting companies, the stock exchange has been a true European phenomenon for years now. As a source of capital, the WSE played a major role in the economic transition period. Now, in times of economic slowdown and more restrictive bank behaviour, it determines the existence and development of many companies and thus shapes the condition of the Polish economy. The deadline for submitting offers was 28 October. The preliminary ones were made by Goldman Sachs International, Pekao, Wood & Company Financial Services, Concorde Ertekpapir, Merrill Lynch, and Banco Espiriti Santo de Investimento. All offers met formal requirements, the Treasury said. The Vienna stock exchange, having overtaken Prague, Budapest and Ljubljana, is the most serious competitor of the WSE in the region and is not on the bidders’ list. The London Stock Exchange has never confirmed its interest in the Warsaw stock market and has officially discarded the speculations of its participating in the bid. 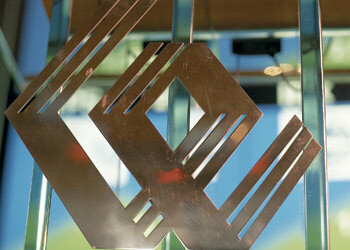 The potential buyers are then Deutsche Börse, Nasdaq OMX, with the Baltic exchanges, and NYSE Euronext. Critical and much desired as the privatisation of the WSE is, the question remains open if this is the best time to privatise the WSE. On the one hand, it is strong and highly ranked and as such the bids should reflect that. However, on the other hand, the economically challenging period might prevent the government from getting offers that are as high as it had planned. What is more, judging by the unfortunate privatisation attempt of Enea, the price of which proved too high for the bidders, it is far from guaranteed that the WSE will be sold for the price it has been valued at.